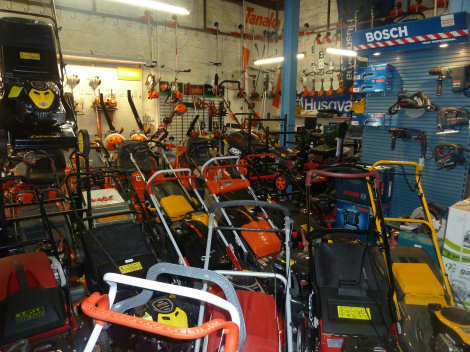 Sales of lawnmowers and garden machinery is as busy as ever. 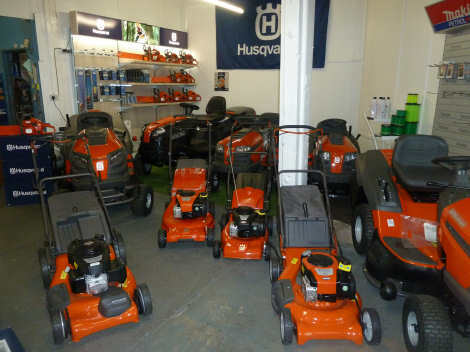 Work on our new storage facilities in Newry has been completed, now we stock even more ride on lawnmowers for supply to all of Ireland. 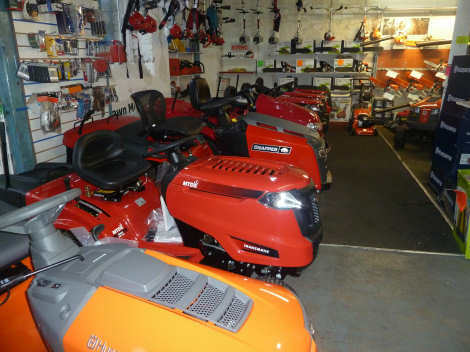 We have added Murray Ride on mowers to our range. Murray and Snapper lawn mowers are owned by Briggs and Stratton. We are stocking and installing Husqvarna robot lawn mowers, call for details. The very latest offers on Husqvarna chainsaws and stihl chainsaws are here. 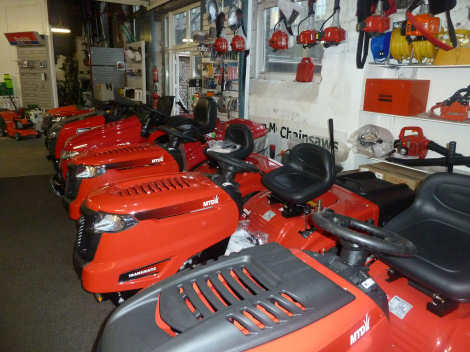 Stocks of Alpina ride on lawnmowers are complete, check them out here. More about AM Rentals here. We can arrange delivery of your new lawn mower to anywhere in Ireland, does not matter how remote, call for a quote - full back up service with 38 years experience . MTD Lawnking 36inch cut, one of the world's largest manufacturer. MTD building lawn mowers since 1958, right to your door. For more than 50 years, MTD has been a leader in designing and building durable, easy-to-use outdoor power equipment. Their family of brands offers award-winning products designed to meet lawn and garden needs for both residential and commercial products. 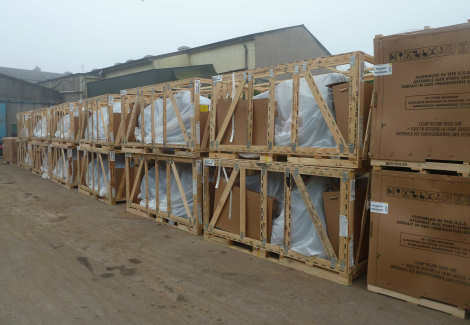 MTD Europe manufactures almost all of its lawn tractors at its production location in Saarland, Germany and as the only German manufacturer with quality "Made in Germany", enjoys a good reputation all over the world. 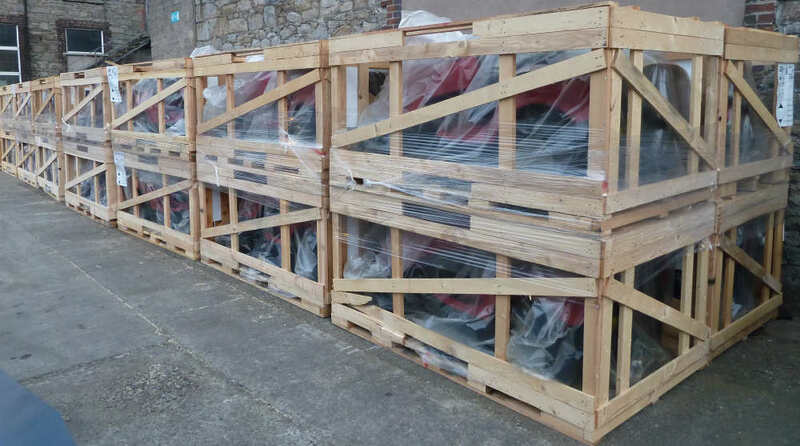 A delivery of MTD Lawnking ride on Lawnmowers. 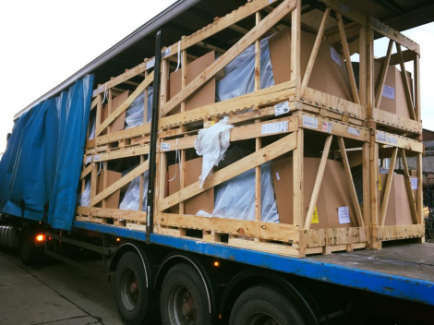 Our new showroom and premises including extensive workshop and yard and warehouses are located right in the centre of Newry, Northern Ireland. 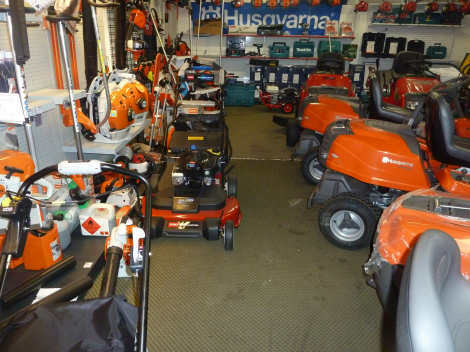 With the extra space we can now stock and display even more lawn mowers, strimmers and garden products, all at unbeatable prices. Yet more ride on lawn mowers from Husqvarna,one of the world's largest and most reputable lawn mower manufacturers, available for delivery right to your door, fully assembled and checked of course.